Email marketing can be a tough nut to crack. If you don't send enough emails to your customers, you'll miss out on reaching a prime group of your customer base, and they'll forget about you. Send too many emails, and you risk being marked as spam and completely missing your audience there as well. So what do you do when you want to start sending more emails to your customers, but don't currently have the tools to gather leads, create your emails, and schedule them to be sent? One solution is to find a good email marketing management system. Here are a few that we love, and we think you will, too. Constant Contact offers a robust set of email marketing tools that allow you to create simple, yet effective emails, build a list of contacts, and schedule out your emails for different days and times of the week. Although the email designs aren't as pretty or eye-catching as some of the others on this list, Constant Contact is a reliable favorite in the marketing world. It also gives you a handy Spam checker to make sure you have the correct ratio of text to images in your email, to make sure your hard work doesn't end up in someone's spam folder. Featuring great design tools with user-friendly "drag and drop" email building, MailChimp is the choice of email management system for millions of businesses and marketers. MailChimp features robust automation tools that allow you to target different customers at different times based on behavior, preferences, and previous sales. You'll also get in-depth analysis reports to show you how well your marketing campaign worked. According to its website, "Since 1998, AWeber has been a trusted email marketing platform and has helped countless entrepreneurs and bloggers grow their business through email marketing." While many companies claim to be awesome, AWeber actually lives up to that humble brag. They have a great auto-respond tool that allows you to always be in touch with your customers, along with mobile-ready subscription forms and great email templates to get you started in a flash. Plus, they integrate with lots of popular platforms, like Wordpress, Facebook, Paypal, and more, so you can build a lead generation list faster than ever. 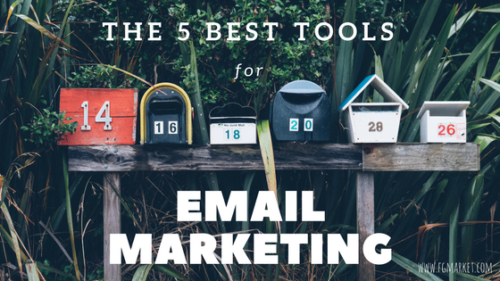 Looking for something that's vibrant, fun, and hip for your email marketing solution? Than Drip might be just what you need. Drip gives you lots of customization options for your email marketing, to give your customers a sense that you are personally reaching out to them every time you send an email. They'll also give you detailed, colorful analytics reports that make your data more fun to view. No more drab numbers and boring charts. Like the email marketing systems mentioned before, VerticalResponse gives you lots of options for designing, automating, and scheduling your emails. It also gives you great analytics tools to measure your success. But VerticalResponse also gives you A/B testing tools, so you can measure which email subject lines, content, and images are more successful and product better results. You'll also get access to a Inbox Preview tool, so you can see how your email will look to customers with different email service providers, like Google, Yahoo, Outlook, and more. You never know if your email will work for everyone, and this tool takes the guess work out of the process. Email marketing doesn't have to be a struggle. When you find the right management system to help you automate and design beautiful emails, you gain access to a whole slew of new ways to market your business. Explore these systems, and find one that works best for you!